Fireplaces are a natural focal point in a room. We gather around them in the colder seasons for warmth. Styles change over time and everyone loves a fresh look. If you renovate a room you may find that the fireplace sticks out like a sore thumb. 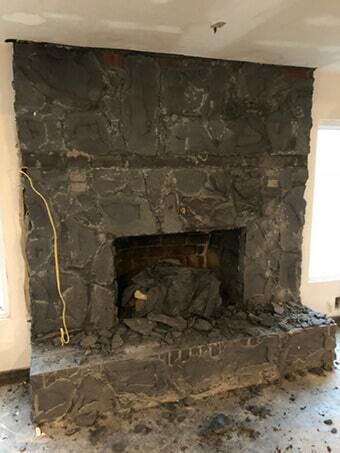 Completely tearing it out and getting rid of the fireplace can be a costly and complicated nightmare. A much more approachable option is to reface it. 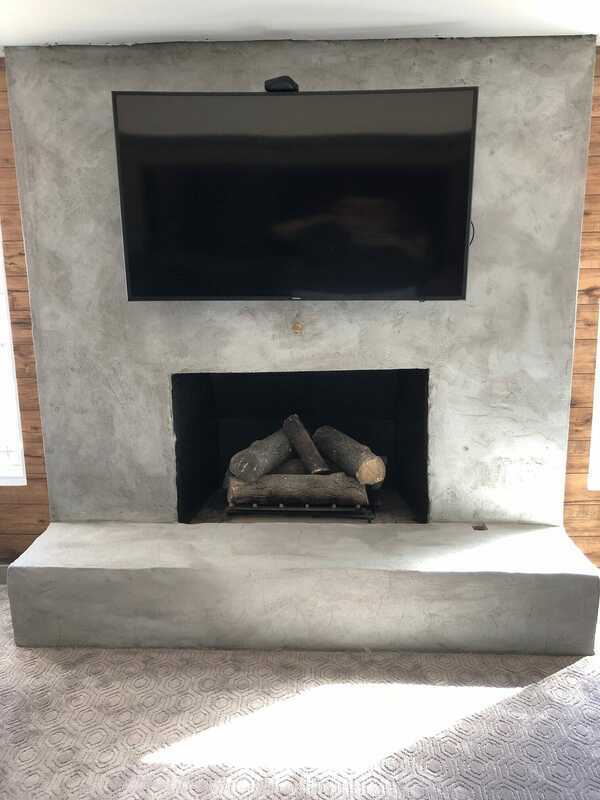 Adonai Brick & Patio's team of experts can replace or build over your existing fireplace to give it a fresh new look which is more in line with your current style. Removing a brick or stone fireplace can be a hugely expensive project. For a quicker refresh to the look of a room, we recommend skim coating. 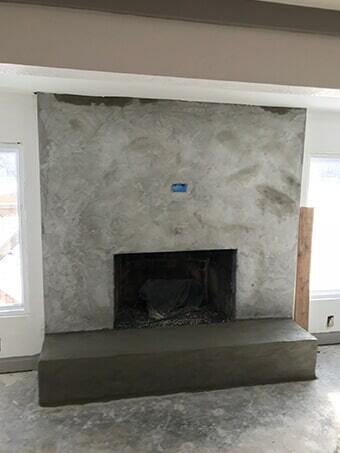 This is the process of putting in a concrete layer around the existing fireplace. This allows for a number of different design options. The concrete can be left as is or it can be stained, tiled or textured. This is a much cheaper and easier alternative to removing the fireplace or starting from scratch.